Welcome to MAXREADING, the program that will allow students to develop important reading skills. We use the research-based highlighting strategy to improve reading comprehension skills in a multisensory way. 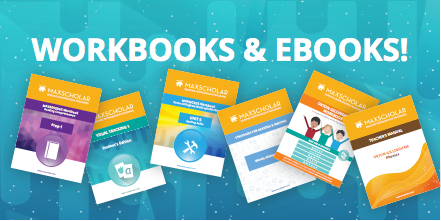 MaxScholar serves as a great supplement to school curriculum and provides students with extra practice. You can choose from our different licenses or apps. We know how important it is for teachers to be able to measure student progress overtime. Therefore, we created a report system that gives them valuable data in order to properly monitor and assess their needs. Research indicates that vocabulary is best learned in context of a passage. In this program students can go through vocabulary words that are part of the MaxReading books, and get to play different learning games too! Students will improve their general knowledge by learning about influential people from different backgrounds, and with different stories.They will also learn the concept of time lines and learn what happened to each person during that period of time.